From the rugged to the relaxed, iconic to isolated, California’s Sierra Nevada Mountains offer endless possibilities for exploration and adventure. 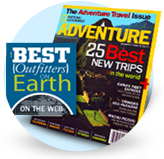 SYMG has been guiding in Yosemite and the High Sierra since 1991, and we feel fortunate that our programs have been praised in dozens of national magazines, newspapers, and trade journals throughout the years. Carefully chosen itineraries, seamless planning, friendly & knowledgeable guides, and incredible food all contribute to the quality of the SYMG experience. From expedition style John Muir Trail backpacking adventures to family-oriented basecamp outings, our guides and staff will ensure that your privately arranged trip exceeds all of your expectations.